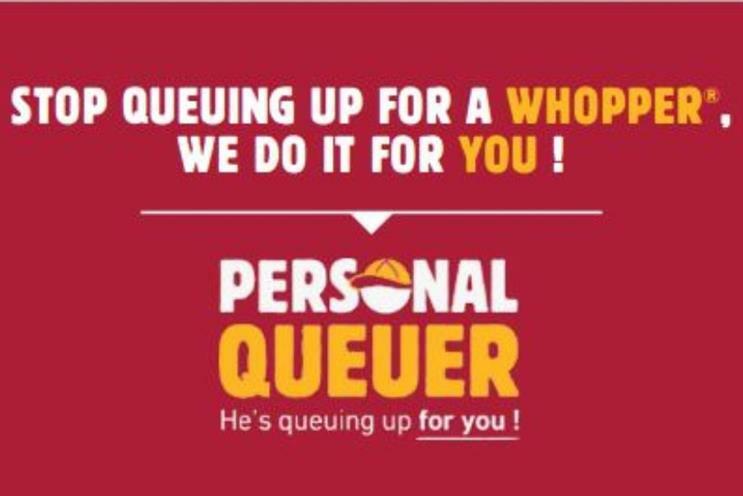 Burger King in France has kicked off a PR stunt for Whopper fans who want to buy a burger without having to queue. The fast food chain has developed an app that lets burger fans, already in a store, request a personal assistant to queue up for them. Diners can then "enjoy life" and return to the restaurant when their order is ready. The new service will be available in selected restaurants in France this weekend.